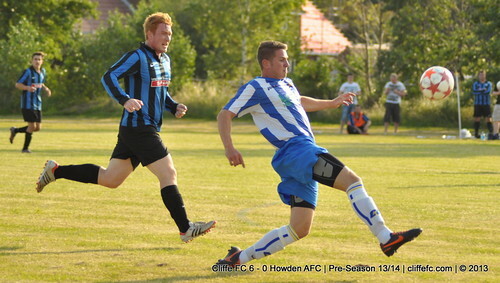 Tuesday and Wednesday evening saw Cliffe FC begin their pre-season fixtures with a double-header versus Howden AFC. Cliffe FC Reserves began with a narrow 2-1 defeat which Dave Hebson was happy to begin with a good run-out for his players. 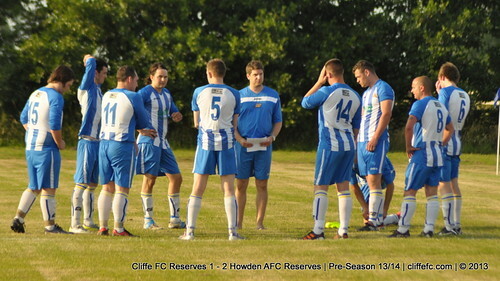 Ben Rawson scored Cliffe’s goal, Howden scoring in each half for the win. Five first half goals from Lee Carter (2), Kevin Taylor, Andy Edwards, Andy Kirkham and a late second half goal from Chris Harkin completed a 6-0 scoreline for Keith Tiplady’s men. No game this Saturday, but it’s vital that players make every effort to attend Saturday’s training session – 1pm start @ Oxen Lane, Cliffe.